Portable Document Format (PDF) Podcasting is the simplest eBook to create and has the widest compatibility. The PDF format’s roots date back to 1991, and in 1993 the first specification for PDFs was published by Adobe. With more than 20 years in existence, you can rest assured that any device or capable software will be able to open your PDF eBooks. PDF podcasting, for the most part, is document specific. It is possible to embed audio and video into a PDF to make it interactive, but it is not ideal and support is limited. PDF format is ideal for publishing transcripts alongside your audio and/or video podcast episodes. PDF format has an option to be “optimized for online viewing.” This means the PDF’s first pages can be quickly viewed while the remaining pages load in the background. If you are creating very large documents, such as a 200 page catalog, this feature will be necessary to provide your audience a fast way to view your eBooks in Web browsers. ePub (short for electronic publication) is a free and open eBook standard released in 2007. The ePub format normally displays documents as “reflowable content,” screen readers can adjust font sizes and the content within the ePub will adjust accordingly, as opposed to a PDF, which maintains its display format when created. ePub documents are ideal for reading on devices such as tablets and phones. ePub documents can also be configured with a fixed-layout, resembling PDF format. ePub can even be extended to support both reflowable and specific fixed layouts. ePub document is technically a compressed (zip) file with multiple files inside it. Because of this, the entire file must be downloaded before the contents can be viewed, making it unfriendly to direct Web browser consumption. 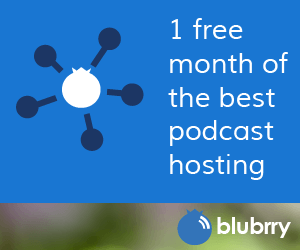 If you use Blubrry PowerPress podcasting plugin for WordPress, you can use the Podcast Channel’s feature, which allows you to associate multiple media formats (e.g. mp3 audio and a PDF ebook) while wiring only one blog post. Users can decide either to subscribe to your audio podcast and/or your PDF version. More than likely, the audio/video version of your podcast will be more popular. Do not be surprised or disappointed if statistically your eBook is not as popular as your audio/video show.